Although artist Bradley Schmehl is best known for his Civil War based art, he has long loved painting the West. That combined with his deep Christianity provided the inspiration for this piece. 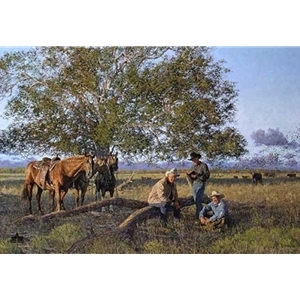 His research included a trip to Texas where he photographed the three gentlemen in this painting along with their horses. 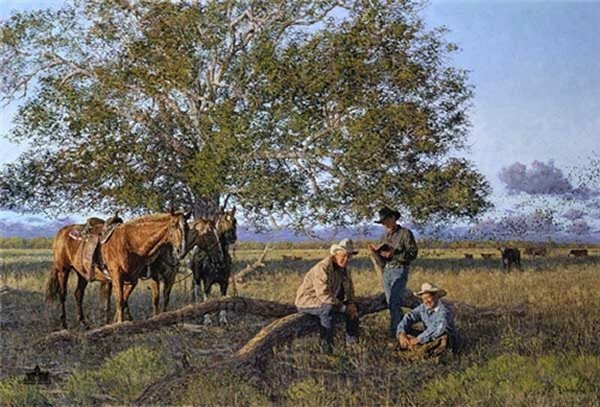 They are friends who live in the rural area west of Houston, and they enjoyed modeling for the painting while cattle grazed and a large flock of birds hovered nearby.